For the last couple of months Sydney has been enjoying a beautiful, balmy autumn of sunny days and only slightly chilly nights. As an avowed summer lover, it made me very happy to get away with only wearing a cardigan for warmth. It’s called denial – “if it’s warm like this, maybe winter will never come”. Well, that was last week. This week winter has truly set in, with cold grey days and rain. 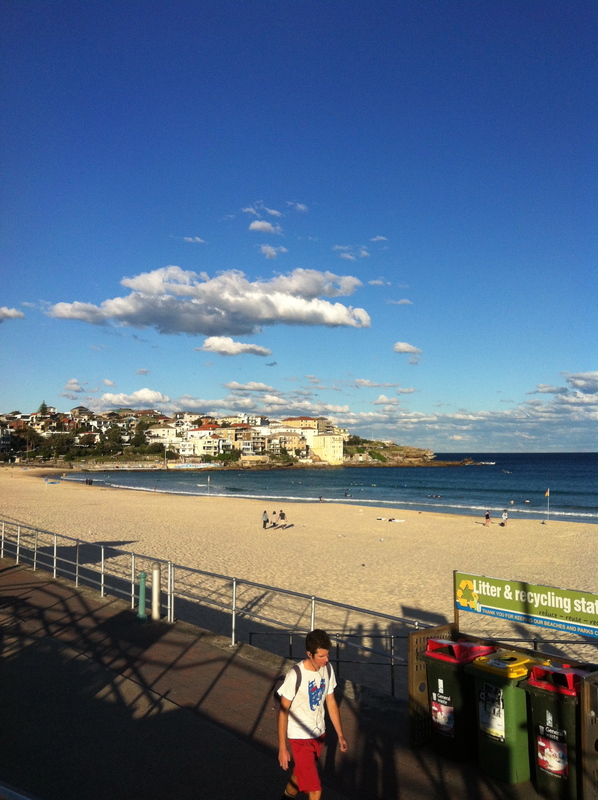 I’m so pleased that I enjoyed the last days of autumn with another Sydney adventure – last week it was to Bondi Beach. 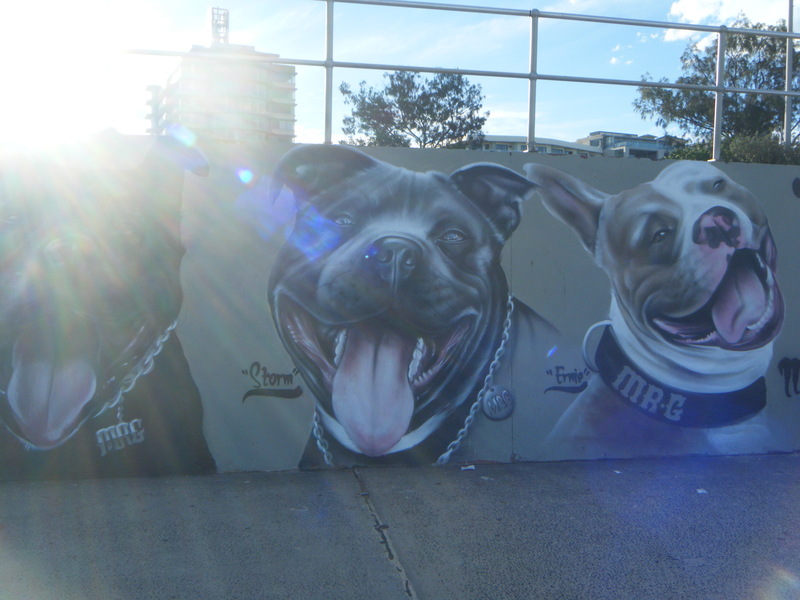 My friend and I had a specific mission in mind – to go and see the amazing graffiti mural of Staffys on the Bondi Beach promenade. 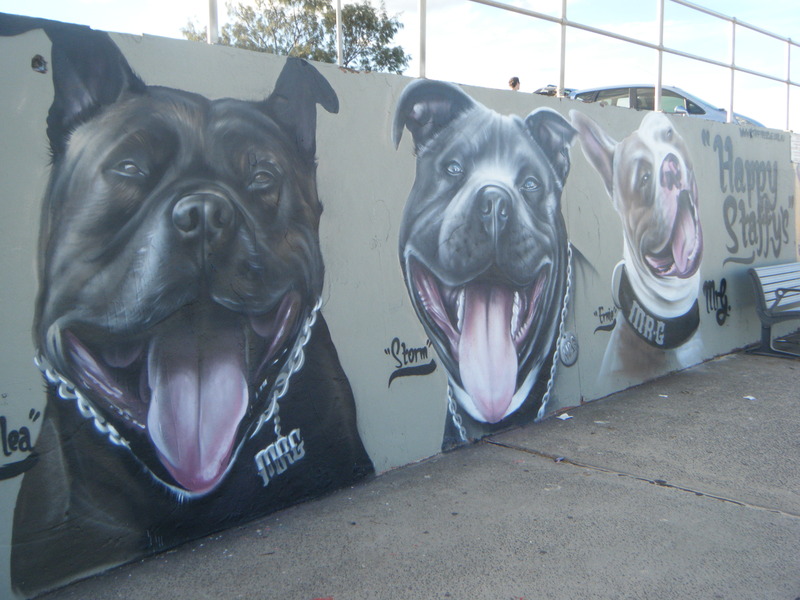 As a long time lover of these wonderful dogs, I was thrilled to discover on facebook that an amazing artist, Mr G. had painted a mural of 3 ‘Happy Staffys’ which promotes the work of Staffy Rescue. 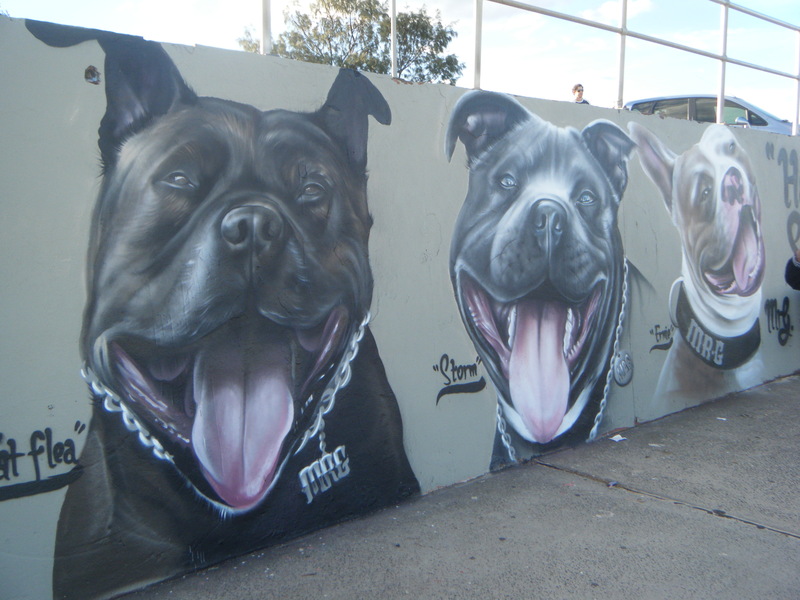 As soon as I found out, I knew we had to go for a visit, and we weren’t disappointed! 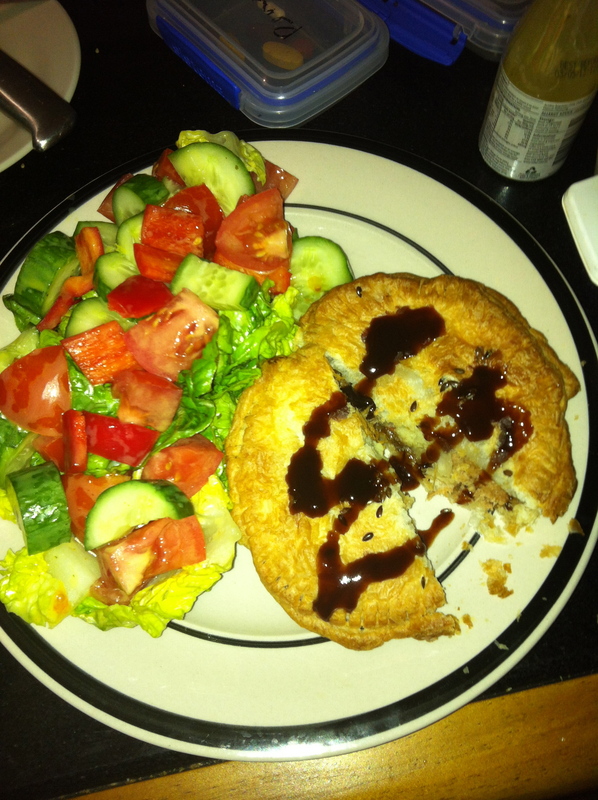 While in Bondi I also had in mind another mission – a pie mission. I had heard great reviews about Bondi business Funky Pies, and their delicious vegan/vegetarian pies, so obviously, I had to pay a visit 🙂 I decided to take home some ‘Funky Chunky’ pies which I promptly devoured for dinner that night – this was a welcome alternative to a meat pie with mash – the Funky Chunky is chunks of shiitake mushrooms, with a layer of mash inside the pastry. And it went down an absolute treat! If you are nearby and need to stock up on other vegan/ vegetarian items (I noticed they also stocked the Tofutti range and also various faux deli meats), this is the place!